I'm Lobsterman Tim Handrigan, Owner and Captain of the "F/V COURTNEY ELIZABETH" as seen on Discovery Channel's, Deadliest Catch Series, Lobstermen! 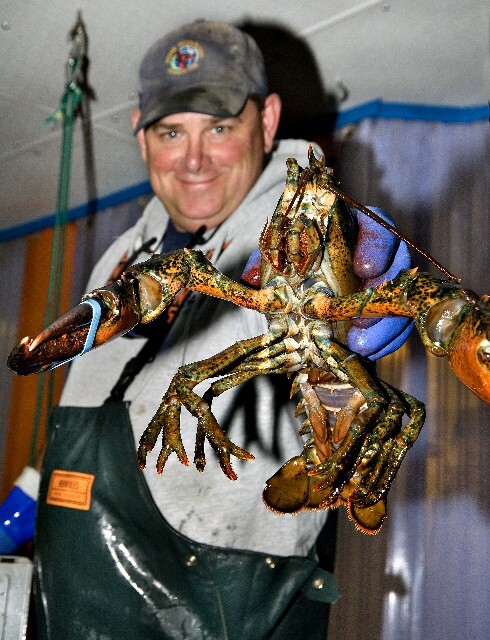 I am a real honest to goodness fisherman...not like some other websites claiming to be one, I am one, and we catch the Freshest & Finest Live Maine Lobsters available! LobsterGuy was started about 18 years ago when I shipped some lobsters as a favor for some close friends of mine on the West coast. They loved it so much, and raved to their friends and co workers about these Great Lobsters that we had shipped overnight to them and that was it!... LobsterGuy was born! We've been handling Lobsters for a long, long time so rest assured, we are the best at it, and our great customer reviews say it for us! We also carry some of the finest Shellfish, Sea Scallops, and Shrimp brought in by local fishermen who are as quality crazy as I am! Our Clam Chowders and Bisques are also Award Winners, as well as our awesome line of Appetizers and Dinners! 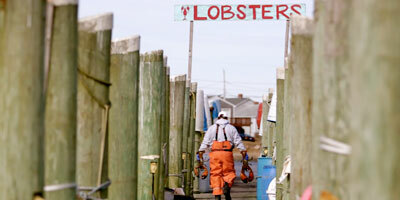 If your looking for a great source and best prices on Live Maine Lobsters Shipped Fresh Overnight, you've come to the right place, and you won't be disappointed! See Captain Tim on the Discovery Channel!My staff and I also specialize in creating custom packages to meet both corporate gifts, and your Holiday, Birthday, Anniversary, or special event needs! If you find you need some help getting the perfect gift, call us, toll free @ 1-866-788-0004 and we'll be glad to help! I'll be sure to answer your questions right away unless of course I am offshore fishing, then it will be a few days, but I will be glad to answer your questions! Thanks for visiting LobsterGuy and I hope it will be a great experience from the time you place your order, to the time you sit down and enjoy it!